Motorcycle cut off and crashes, who is at fault? If you are injured in a motorcycle accident in Seattle, you should hire a Seattle personal injury lawyer to look into the facts of your case. Most insurance companies are biased against motorcycle riders and feel like they are unsafe people in general. However, this is not the case. Motorcyclists are just like every other person who enjoys the freedom of driving with the wind in their hair/helmet. Motorcyclists are also far more vulnerable to being severely injured in a car accident. Motorcyclists are more prone to being injured in a car accident because they do not have the safety equipment like a seat, head rest, insulation of a big car, safety belt, and windows from protecting them. Motorcyclists are prone to being thrown from their bike if they are in a car accident, which is the equivalent of being thrown through a windshield in a car accident. Motorcyclists are just like all other drivers on the road, plus a little more maneuverability. However, when someone cuts off a motorcyclist, they cannot merely slam on their brakes and be ok. When a motorcycle slams on its brakes, it severely increases the ability of the driver to be thrown over the handle bars or the bike from sliding out. 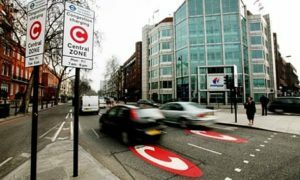 This means if a car drives in front of a car at the last second and the rider ditches their bike or falls off, the car that cut off the biker is at fault for any resulting injuries to the motorcyclist. Some people claim that motorcycles are hard to see so they cannot be at fault for cutting off a motorcycle, illegally changing lanes in front of them, or coming into contact with them on a lane chance. Not heading the right of way to a motorcycle driver while going down the street is not a good excuse for car drivers who cause a motorcycle driver to fall off their bike and crash. The car driver will be at fault 100% of the time. Being injured in a motorcycle accident can leave the driver of the bike unconscious, whereby they cannot defend themselves if the other driver says the motorcycle driver was driving too fast, speeding, etc. that caused them not to see the motorcycle. There is a bias against motorcycles that are street bikes because people believe these people are racing at all times. This could not be further from the truth. 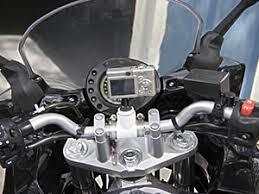 However, this is why it is important for motorcycle riders to have mounted cameras on their bikes to act as an independent witness in case no one sees the motorcycle accident. If you are injured in a motorcycle accident, contact a Seattle motorcycle accident injury lawyer today for a free consultation. 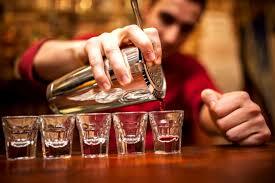 We are paid out of the settlement so there are never any out of pocket fee costs to you. Call today (206) 850-6716. Uber and Lyft are everywhere these days and they provide a great service for those looking for a ride to an area that charges a lot for parking or a ride home from the bar. However, if you are ever in a car accident with an Uber or Lyft driver you may be facing an uphill battle while you try to find out whose coverage will cover your injuries suffered in the car accident. This is because there are basically three levels of insurance that could be at fault. Whose Insurance Will Cover Seattle Uber Car Accident Injury Case? 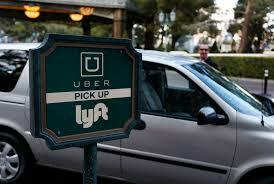 Uber and Lyft hire drivers to drive for them who are not quite employees but actually contract for hire employees. Therefore, when the Uber or Lyft driver does not have a passenger and is not actively searching for a rider with the Uber or Lyft app, they are not really working on Uber or Lyft time. Therefore, Uber and Lyft do not cover the insurance for their driver during this time if they get into a car accident, which can have implications on the driver of Uber and Lyft and others. When an Uber or Lyft driver is not considered a driver, they must maintain their own car insurance. If your are injured in a Seattle car accident with an Uber or Lyft driver at this point, the Uber or Lyft driver’s own insurance will cover your car accident injuries. 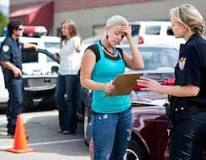 If they do not have their own insurance, you must use your UIM (uninsured motorist insurance) to cover your injuries. 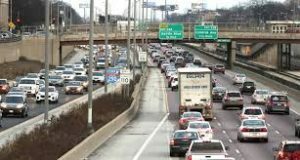 When an Uber or Lyft driver is actively using the app to find a passenger to make money, Uber and Lyft must have a minimum liability insurance coverage for their driver of $50,000 per person and $100,000 per accident, as well as $30,000 for property damage, and Underinsured Motorist (UIM) benefits and Personal Injury Protection (PIP) coverage to the extent required by existing law (currently UIM minimum to match the liability coverage, and PIP minimum of $10,000). PIP coverage pays for medical bills while you wait for your settlement with the at fault party. Washington State Law appears to make PIP mandatory with a minimum required of $10,000. Unfortunately, the only thing required by the law is for the insurance company to offer you $10,000 in PIP coverage not that you have or maintain $10,000 in PIP coverage, which is completely strange. Uber and Lyft have chosen not to include PIP coverage with their insurance policies, in line with Washington State Law. 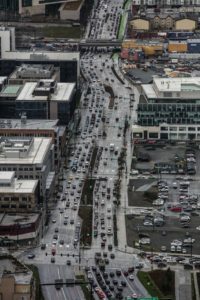 Once the Seattle Uber or Lyft driver accepts a ride and is in route to pick up the passenger or they already have the passenger, the insurance coverage increases to single limit liability coverage of $1 million, UIM coverage of $1 million, and PIP coverage to the extent required by existing law. 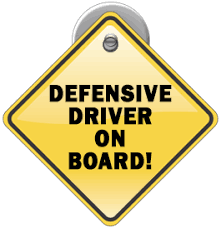 This coverage remains in effect until the passenger exists the vehicle. This means that if you are injured in a car accident caused by a Lyft or Uber driver, the insurance company for Uber or Lyft will cover your injuries up to $1 million in damages caused by their driver. This will cover your medical expenses, lost wages, lost future wages, and pain and suffering. If you have been injured in a car accident by an Uber or Lyft driver contact a Seattle personal injury lawyer immediately. Our Seattle car accident injury lawyers at Cherin Law Firm will quickly investigate your case to determine which insurance company will cover your damages. Consultations are free and we are paid out of the settlement. Everyone can afford a Seattle personal injury lawyer but you can’t afford not to have one against Uber or Lyft’s insurance company.